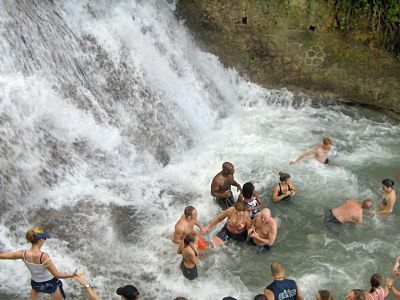 Book your Dunn's River Falls and Blue Hole Tour from the Grand Palladium Resort or Lady Hamilton Resort. This is one of the most exciting experience while staying in Jamaica. Visit the famous Blue Hole or Secret Falls. Hidden in the mountains of St. Ann above the garden city Ocho Rios. Blue Hole is a breathtaking and a hidden gem. Escape the crowd and hassle of the city and enjoy the simple magic of the waterfall and the cool swimming pools. After the drive cool off by taking a plunge in this cool refreshing pool of the blue. Rated one of the best experience on the coast. Our friendly dive masters will show you how it done and they will ensure you do it right and safe. 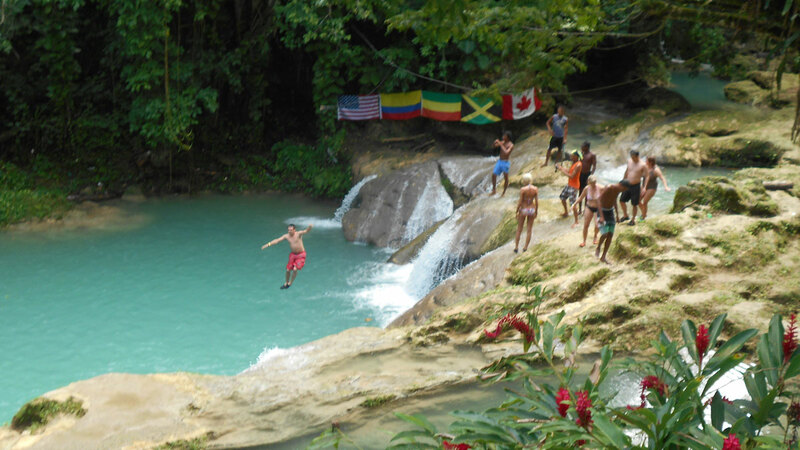 There is no better way to enjoy your trip to Ocho Rios, the Blue Hole or Secret Falls is a must visit while visiting Jamaica. Included: Complimentary round trip transfer, Dunn's River Falls and Blue Hole entrance fee.